One of the most common New Year resolutions that individuals make (and break) is to lose weight and live a healthier lifestyle. Maintaining a healthy diet is ensuring that you are choosing ingredients that are low in fat but still can provide you with essential nutrients. Many are surprised to learn about the health benefits associated with seafood products such as Maine lobster and crab. Maine Lobster is typically considered a delicacy that is consumed during special occasions and the summertime. However working this tasty ingredient into everyday meals can help you maintain the balanced diet that you’re looking for. Lobster is low in fat content, high in protein, and helps promote a healthy heart due to being low in cholesterol. It has also proven to be very effective in preventing osteoporosis, rheumatoid arthritis, cardiovascular disease, and certain types of cancers. Maine Lobster meat can be used in sandwiches, salads, and pastas to give you plenty of options for adding it into your diet. Another ingredient that is rich in protein, vitamins, and minerals is Crab. These nutrients have given Crab meat anti-cancer properties due to containing high levels of selenium; this antioxidant can lead to lower rates of cancer. Crab meat is also low in saturated fat and due to the presence of chromium, and can help increase levels of good cholesterol (HDL) in the body. Similar to other seafood, Crab is rich in omega-3 fatty acids. This has the important benefit of reducing the level of low-density lipo-proteins and tri-glycerides in the body, which can choke up the artery walls. Living a healthy lifestyle doesn’t mean that you can’t enjoy the food that you are consuming. It just takes a little creativity and the right ingredients to make healthy meals that are both tasty and nutritious. Ideally, your live Maine lobsters should be cooked and prepared the same day that you receive them from Cape Porpoise Lobster. However it is possible to keep these delicious creatures alive and fresh for up to 48 hours after delivery. Cooked dead lobster is slimy and will lack the flavor that you were anticipating. Ensure that your lobster delivery stays fresh by taking advantage of the tips below. During the holiday season there is always that one person that is hard to buy for. That’s why Cape Porpoise Lobster has made it easy with our new holiday Maine lobster specials. Surprise your loved ones, coworkers, or anyone on your list with delicious Maine Lobster Tails and Seafood. Our overnight shipping makes it convenient to send quality Maine Lobster straight to anyone’s doorstep. The Cape Porpoise Lobster holiday specials include Maine lobster tails, seafood chowder, and scrumptious crab cakes starting as low as $99.95. For those hosting a holiday dinner party, we are offering a great deal on 8/10 oz. Maine lobster tails and crab cakes with a package of 8 for only $279.95! Also, be sure to enter our ‘Share the Family’s Secret Seafood Recipe’ contest on Facebook to win 8/10 oz. Maine lobster tails and seafood chowder for four. All you have to do is like our Facebook page, upload your recipe and photo, then have your friends and family vote. We will be running the contest until 12/20/12, and the recipe that receives the most votes, will win the holiday special. Click here to view all of Cape Porpoise Lobster’s holiday specials. Posted October 16, 2012 by Cape Porpoise Lobster Co.
Rock crabs can serve as a delicious appetizer, side or meal, making them quite versatile. As you’ll see, you can go a lot of directions in preparing them as well, whether using rock crab claws or meat. This recipe, for example, keeps it quite simple – so simple that the only ingredient is the crabs. Of course, you could serve it with condiments, but it’s good to know that you don’t have to get too fancy with this delicious crab. On the other hand, this recipe involves some pretty delicious seasonings and the like. Any recipe involving beer has got to be good, so you know that you’ll enjoy this one if you’re adventurous enough to try it! Of course, you can kick it up a notch further and opt for the sherry instead of the beer, like this recipe here. It takes 2 pounds of rock crab meat to make the cakes, meaning this one will definitely fill you up! So, take these recipes out for a spin and try them in your home. You’ll discover new ways to prepare this delicious meat, exciting the palates of your family, friends or party guests. Posted October 8, 2012 by Cape Porpoise Lobster Co.
For one thing, if you have never been to a Maine lobster fishing shore, you might not have even known that lobsters were caught in traps. But, you probably did, since it’s pretty common knowledge that commercial fishing is done with traps, nets, etc. But, did you know that lobster traps have escape routes? “Why?” you might ask. Well, legally, only lobsters of a certain size can be caught and kept, so, the escape hatch allows undersized lobsters to leave and grow to be of legal catching size. Did you know that lobster traps can weigh from 30 to 40 pounds? Surprisingly enough, they are composed of enough plastic-covered wire to be of pretty substantial size. Of course, they weigh a lot more after having caught the lobster! But, each trap also features some things that, maybe no one except the specific fisherman knows. Each fisherman has his own preferences and secrets as far as what makes a trap the best. So, it takes years of experience to know how to get the most lobster per drop. The next time you dig into a delicious lobster dinner, make sure to remember the hard work that went into catching it. Our fishermen are literally the backbone of the industry, and their years of experience make it so that we can continue to offer great fresh lobster on a daily basis! You probably think of lobster first as a main course, as it takes a lot of work and it’s pretty filling. But a lobster’s flavor can lend a lot to other sorts of meals as well. So, try thinking of lobster as an ingredient and you end up with even more ideas of how to use this incredible delicacy. For example, a really popular lobster dish as of late is lobster macaroni and cheese. This is fairly simple to make and anyone can easily enjoy it. You might also consider a lobster alfredo sauce for other sorts of pasta. Another idea would be to add lobster to a sandwich. This is a take on the old surf-n-turf tradition, but if you throw lobster and some steak or roast beef in some bread or a hoagie roll, you’ll have a pretty awesome lunch! Lastly, a lot of people have found lobster sushi rolls to be very appetizing. So, if you’re feeling especially adventurous, you can try to make some lobster sushi rolls. This will take a lot of skill and practice, but if you get good at it, you might end up making lobster sushi on a regular basis! If you have any other lobster dinner ideas, let us know! For everyone, the answer to this is different. A lot of people like their Maine lobster completely on its own, without the presence of any other foods in the meal. But, a lot of people like to have something to complement the lobster with a side, or even an equally important entree. For an appetizer, many people will recommend steamers (or steamed fresh Maine mussels). This helps set up the palate and you won’t get too full before eating your main meal. Now, if you’re interested in some sides, you have plenty of choices. Many people like veggies, including baked potatoes, corn on the cob or asparagus. Any of these will complement the lobster, and will leave you room to finish the meal! Of course, you’ve probably heard of “surf and turf,” which involves two parts to the entree: lobster and, usually, steak. If you have the stomach, you can actually make a great meal with an entire lobster and an entire steak, but you can also always try fresh lobster tails alongside a smaller fillet. Either way, that’ll make for one truly kingly dish! For a beverage, many people prefer white wine or champagne. But, if that seems like too much for you, you can always try a beer (probably a Belgian ale) or a mixed drink. If alcohol isn’t your thing, try an orange soda! Do you have other ideas? Let us know in the comments! When people think of seafood, they often don’t immediately think of mussels. Lobster, salmon, crab and various other foods, from the exotic to the mundane, typically jump into people’s minds. But mussels are a very nice addition to any meal, so consider them as a side for your next entree. Here are two ways to prepare them. Before each technique, remember to remove the byssus, or the brown thread-like stuff betweent he two shells. Preheat the oven to 450 degrees and place the fresh Maine blue mussels in a pan with some olive oil. As they get hotter, the shells will open and, when they do, remove the top shell entirely. You’ll want to preserve the juices in the pan and, after having plated the mussels, drizzle the juices over them. Sprinkle with seasoning and serve immediately. (This is only one of many techniques for steaming) In a large pan, heat a quarter cup of butter with whatever seasonings you like until the butter is softened. Add a quarter cup of white wine and, once the liquids are hot again, add the mussels. Cook for 5-10 minutes, remove the mussels, open slightly and serve. You can modify either recipe as you see fit, adding or taking away seasonings to your liking. Summer is over… does that mean grilling season is over too? Fall is a fantastic time of year to grill. The weather is more bearable to a lot of people and everyone likes grilled lobster. 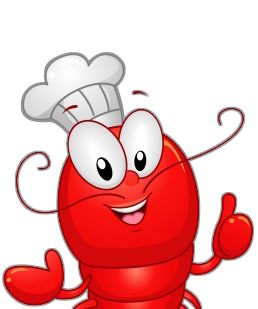 1 – Parboil the lobster – Get some water boiling and throw the lobster in for about 5 minutes. After removing it, put it on ice immediately in order to prevent further cooking. 2 – Cut the lobster in half – With a knife, cut the lobster in half and put tiny slits in the claws to let air out. 3 – Season the Meat – Baste the meat with butter, lemon juice and whatever spices you like most. You can look to various lobster recipes or even try out your own combination. 4 – Grill the Lobster – Get your grill to medium heat and cook the lobster, meat side down, for about five minutes. Then, flip the lobster over, re-apply your seasonings, butter, etc. and cook shell side down until the meat it nice and white and firm. Then you have a nice grilled Maine lobster to enjoy! So, step five… dig in! Fresh Maine lobster has a quality that no other food has. People love lobster like they love their cars or their favorite sport team. So, how do you show your taste for this incredible food? The same way you show your love for your favorite sport team! This key ring features one of the lobster’s key features: the infamous claw! Not a bad way to carry your keys around! This lobster tie will add a little bit of personality to your suit and, if anyone asks, you can tell them about how great your lobster dinner was! This hat will keep your eyes shades and let everyone one know that you appreciate the best: lobster from Cape Porpoise, Maine!